Another very-well attended breakfast gathering following on from the December and January events which attracted almost 100 vehicles on each occasion. To the casual observer, it may seem that each month is a repeat of the one before, but the enthusiast would realise that as well as the regular attendees, a fair proportion of the gathering are either new-comers or vehicles that are seldom seen. Your correspondent could only spare an hour at the gathering this month, so apologies if your special vehicle missed out on being photographed and for this abbreviated report. I’m not sure if the classic Minis outnumbered the MX5s this month, but if you add in the couple of RX7s then it certainly appears as though the sporty Mazdas were very well represented. There were plenty of examples of other makes on display as well. 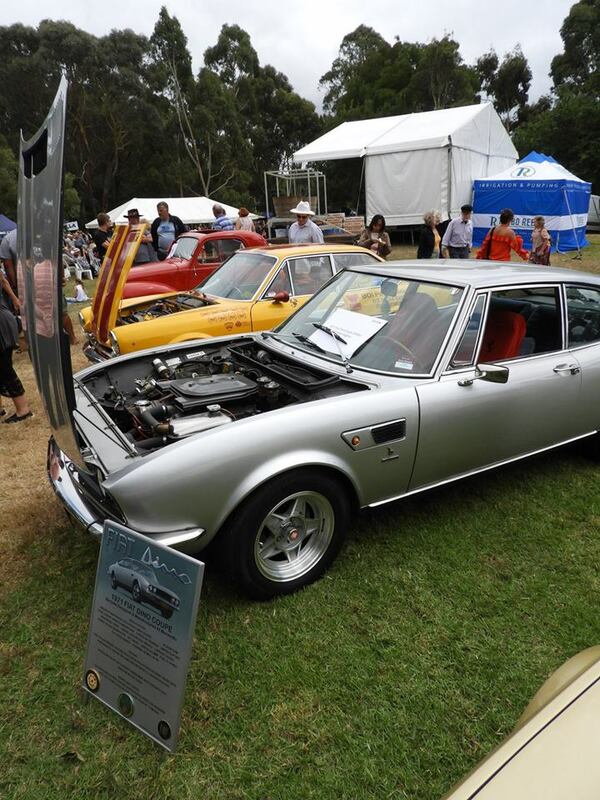 There were several Triumphs, MGs, Austin Healeys, Jaguars, Boxsters and sporty Fiats. Ian Maud’s MR2 looked clean and fresh in a new coat of paint and it was interesting to see three limited production fibreglass cars in the form of a Bolwell Mk7, a Lotus 7 and Paul Mogensen’s Milano GT on display. Long American cars seem to be gaining in popularity with a Ford Ranchero ute, a Customline and a massive red station wagon of unknown heritage looking for that elusive, elongated car park. The weather was fine and sunny (dreadful for taking photos, either too much bright sunshine or long dark shadows), so those with the flexibility to remove roofs were happy to do so. The bikes were also out in force with examples from Moto Guzzi, Honda, Suzuki, BMW and Harley Davidson. Mike Whitford (Fiat Dino coupe) and yours truly in the Fiat 124 AC coupe departed the Breakfast Club at around 9am and headed for the annual Mirboo North Italian Festa via the scenic Sunny Creek Road which winds its way up through the Strzlecki Ranges on its way to Thorpdale. 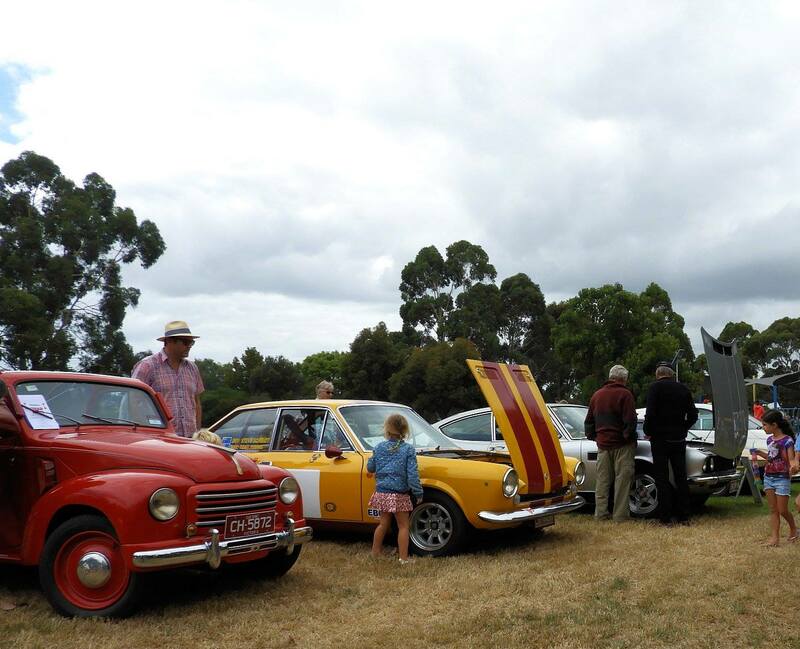 The Fiat Car Club had been allocated a space at the festival next to the stage area for displaying a variety of Italian vehicles. As well as our cars there was a 131 coupe, a couple of X1/9s, a pair of new 500s and a Topolino. John Althuizen rode his Honda from the Breakfast Club back to Traralgon, swapped it for his Ferrari and joined us a little later in Mirboo Nth. There was a terrific crowd at the festival and the food was delicious. Well worth the effort.